Nike Nike Zoom LeBron 3 "Home"
Nike Zoom LeBron 3 "Home"
Inspired by the Cleveland Cavaliers' home team colors, the 2019 version of the Nike LeBron 3 will feature a black and white leather upper with a black Swoosh branding on the side, white leather mudguard and toe box, which sits atop a red Zoom Air cushioning unit. Release date is Apr. 11, 2019 at a retail price of $175. 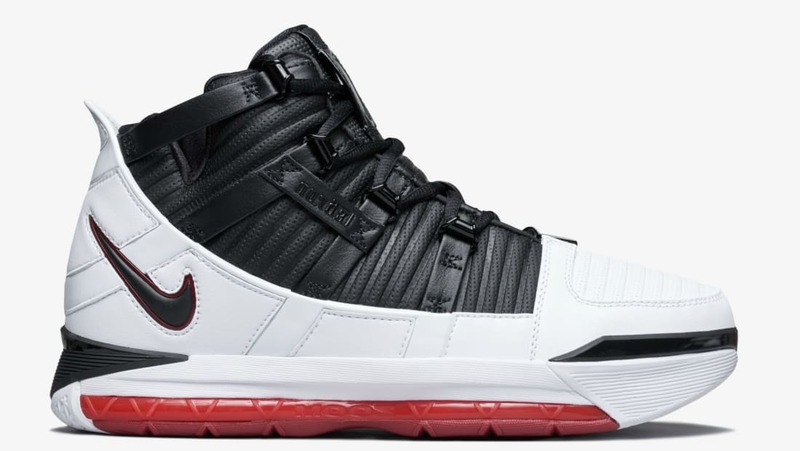 News Nike Zoom LeBron 3 "Home"